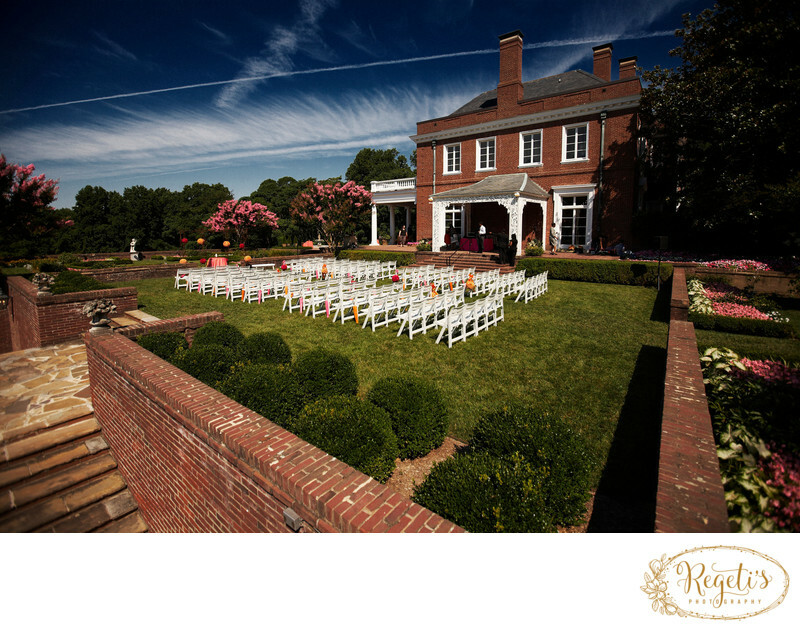 Oxon Hill Manor is a local favorite wedding venue to bride's wishing to have an intimate garden style wedding over looking the Potomac River while inviting a little bit of vintage flair into their reception. Ideal for a luncheon style wedding as well. where perhaps liquor and dancing may be avoided for some as per personal or religious preferences. Donna and Eric opted for a lunch style wedding in this beautiful little garden surrounded by family and friends as they committed their lives to each other. Location: Oxon Hill Manor, 6901 Oxon Hill Road, Oxon Hill, MD 20745. Keywords: Garden Wedding (3), Oxon Hill Manor (3).